The goal is to get 1,000 people to the Rozsa Center next Friday, Dec. 21, in support of the Olsson family, for a very special community Christmas celebration and benefit. The Youth Dance Program (YDP) and the Rozsa Center present a family holiday event and Ana Olsson Benefit. Evening highlights include an original presentation of “The Night Before Christmas” by the students of the YDP along with select members of the Dance Team and Cheer Team, followed by a screening of the Walt Disney Studio’s 1983 film, “Mickey’s Christmas Carol,” in the Rozsa theater, and an Ana Olsson Benefit Bake Sale and Silent Auction in the Lobby, from 7 to 10 p.m. The dance and movie will begin at 7:30 p.m., and tickets are $8. 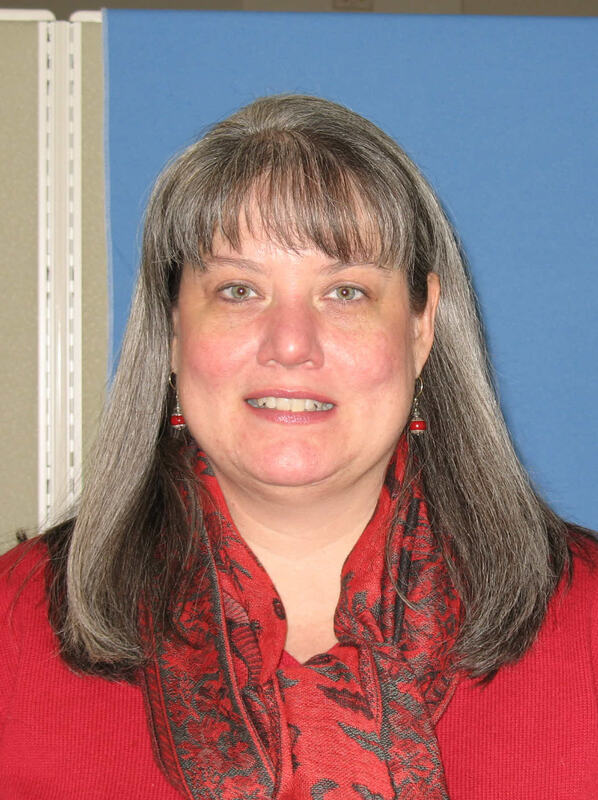 The department welcomes Lisa Dunnebacke as the new Administrative Aide for Visual and Performing Arts. 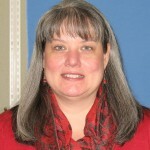 You may find her at Walker 209. Send her email at vpaoffice@mtu.edu. 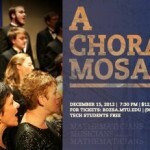 There will also be a reception for the students, Friday, Dec. 14, from 7:30 to 9:00 p.m., with refreshments. 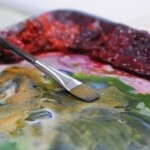 According to senior lecturer Sue Kilpela, the show features drawings, paintings and 3D work. 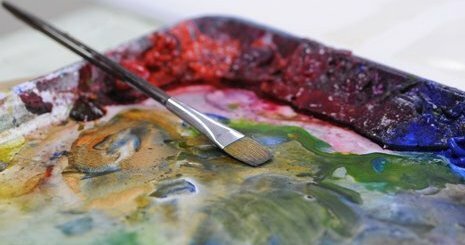 “More importantly, these students display their commitment to the arts while achieving their other rigorous goals!” Kilpela says. Licht and Schuleter also have art hanging in the State Representatives’ Anderson Office Building as part of the juried “Art in the House” project displaying work by Michigan’s fifteen public universities. The first half of the concert features conScience: Michigan Tech Chamber Singers performing for the first time in the Rozsa Center. 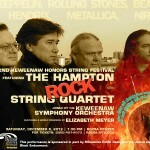 They will perform the music of Paul Hindemith as well as settings of folk tunes from Poland, Finland, and Estonia. Read more at ABC10, by Burns. 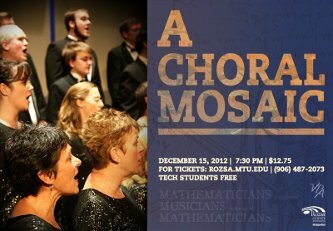 This will be a beautiful performance by the Tech Concert Choir and conScience: Michigan Tech Chamber Singers, performing a special concert that includes the repertoire that will be performed in May on tour to Montenegro, Croatia, Bosnia, and Slovenia. 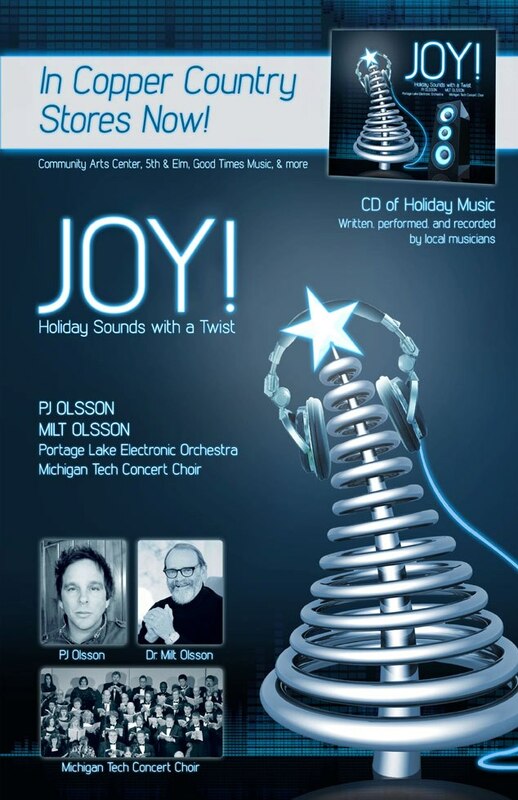 Four years in the making, “Joy” unites the classical arrangements of Milt – the former Keweenaw Symphony Orchestra director – with the Grammy-nominated engineering and production skills of PJ. The result is a modern take on classic holiday favorites. 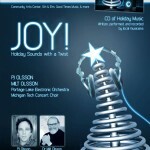 The album includes music sung by the Michigan Tech Concert Choir in 2006 with rhythm added to it. Read more at the Michigan Tech Lode, by Corey Saari. Read more at the Michigan Tech Lode, by Alex Saari. The Keweenaw Symphony Orchestra will open Saturday night’s concert with a performance of a pair of the movements of Gustav Holst’s “The Planets,” as well as a world premiere by composer Elizabeth Meyer. 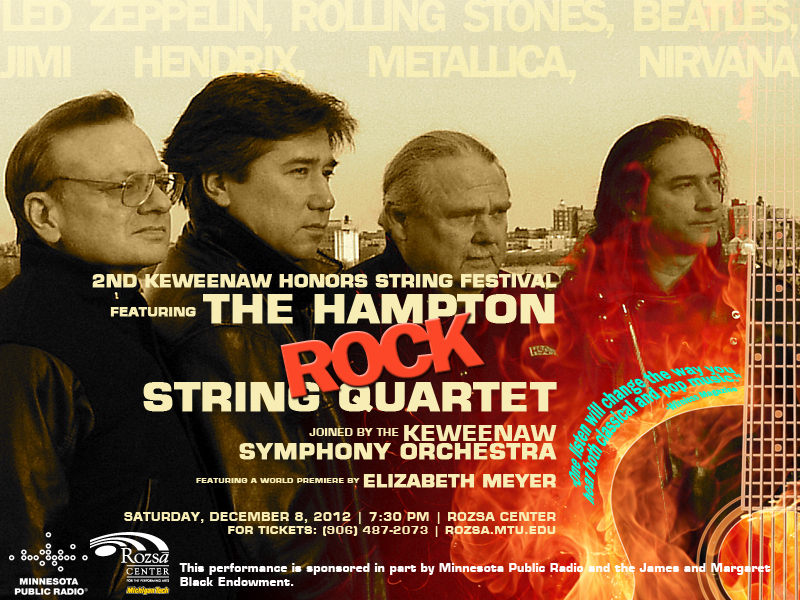 HSQ will then take the stage and perform a variety of rock classics from Jimi Hendrix to Nirvana. Read more at the Michigan Tech Lode, by Travis Pellosma.